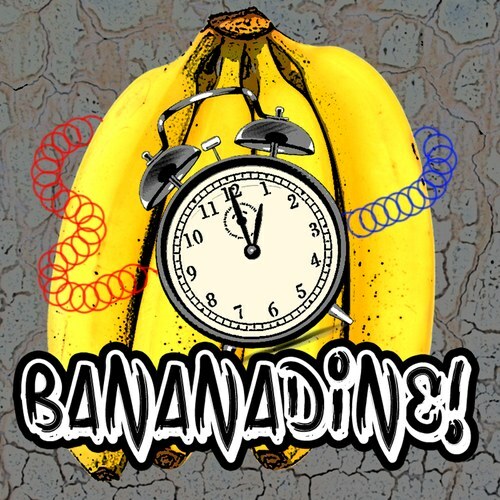 Home » meditations » Serendipity: Getting High on … Bananas? Serendipity: Getting High on … Bananas? It was the March 24, 1967 issue of the Los Angeles Free Press that taught me all about how to get high on bananas. You can see the cover of the issue in question illustrated above. Did I run to the nearest supermarket and buy up all the bananas in sight? No, I didn’t. It was just six months after my brain surgery to remove a chromophobe adenoma from the center of my head; and I was not about to go experimenting with psychedelic drugs. I was just finishing my first quarter as a graduate student at UCLA’s Film School. Although I loved the Free Press and looked for it religiously each week, I was both impressed and somewhat repelled by the whole hippie phenomenon. Bigfoot had been driving around once a week to Kozmik Banana, a frozen-banana shop near the Gordita Beach pier, creeping in by way of the alley in back. It was a classic shakedown. Kevin the owner, instead of throwing away the banana peels, was cashing in on a hippie belief of the moment by converting them to a smoking product he called Yellow Haze. Specially trained crews of speed freaks, kept out of sight nearby in a deserted resort hotel about to be demolished, worked three shifts carefully scraping off the insides of the banana peels and obtaining, after oven-drying and pulverizing it, a powdery black substance they wrapped in plastic bags to sell to the deluded and desperate. Some who smoked it reported psychedelic journeys to other places and times. Others came down with horrible nose, throat, and lung symptoms that lasted for weeks. The belief in psychedelic bananas went on, however, gleefully promoted by underground papers which ran learned articles comparing diagrams of banana molecules to those of LSD and including alleged excerpts from Indonesian professional journals about native cults of the banana and so forth, and Kevin was raking in thousands. Bigfoot saw no reason why law enforcement shouldn’t b cut in for a share of the proceeds. So, as you see, however much I dearly loved the Freep, the whole thing was an early instance of fake news on the (far) left. 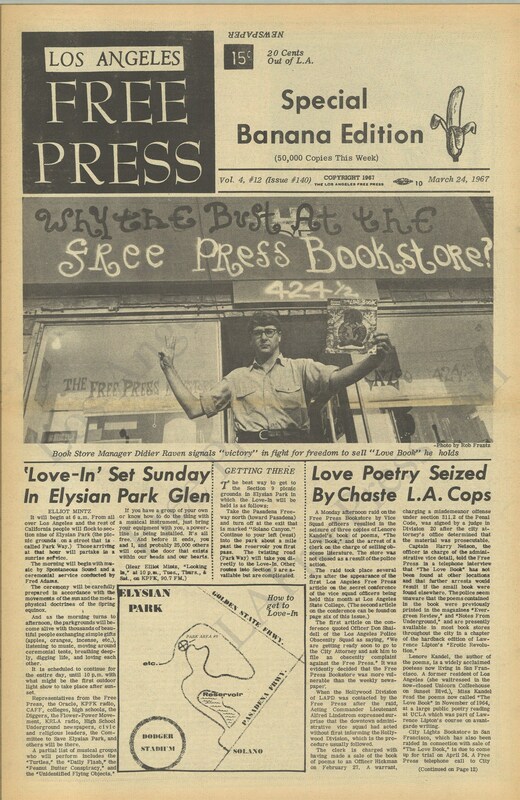 I remember that the Free Press even had a bookstore on Fairfax, specializing in subversive titles, but with enough interesting general literature available to whet my appetite. A big plus is that it was right across the street from Canter’s Deli, which was open all hours, making it a popular nosh stop for film addicts discussing the pictures they had just seen. Martine and I still go there from time to time for their corned beef, pastrami, and other delights. This entry was posted in meditations and tagged bananas, drugs, free-press, hippies, los-angeles. Bookmark the permalink.